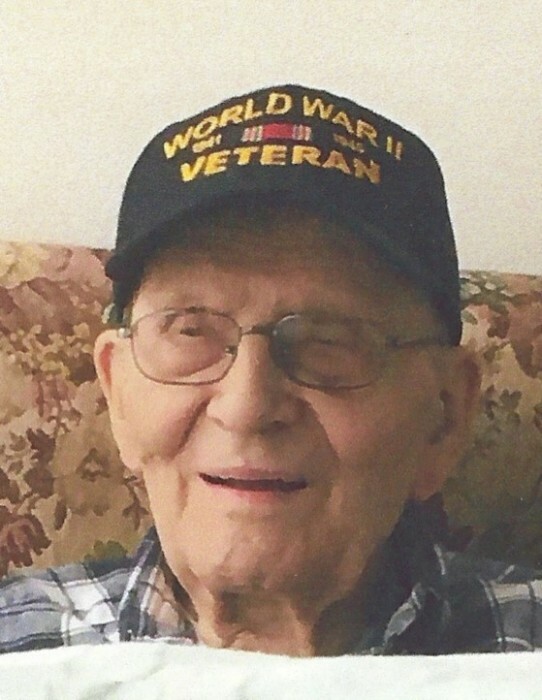 Charles V. Rochon, 98, formerly of Dewitt, passed on from this life on Wednesday March 20 at Loretto. Born May 19, 1920, he was a life resident of Syracuse. He graduated from Vocational High School and was an Army veteran of World War II, working on the railroad in Belgium. After his discharge in 1946, he met and married his wife of 67 years, Gloria, who passed on in 2013. He retired from Carrier Corp. where he was a punch press operator in 1984. Surviving are his daughter, Renee (Bill) Ohern of Columbia, SC and son, Ralph (Carla) Rochon of East Syracuse. There will be no calling hours. Private services and burial with Military Honors at a later date in Onondaga Veteran's Memorial Cemetery.